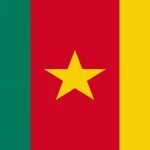 All the candidates who are successful in the competitive examination must pay a fee of , five hundred thousand francs (500,000 FCFA) per year for their training. Foreign candidates, whether or not proposed by their government are, admitted under the same academic conditions as mentioned above depending on the number of places available. 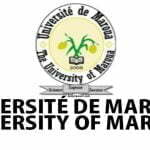 Concours ENSPM Maroua Entrance 2019-2020 third year: National Advanced School of Engineering of the University of Maroua. Transcripts of the Baccalaureate or the GCE / AL signed or certified by the competent services. A certified photocopy of the baccalaureate or GCE / AL, or any other diploma recognized equivalent by the Minister of Higher Education, dated not more than three (03) months. A certified photocopy of the Bachelor, DUT / BTS, or any other diploma recognized equivalent by the Minister of Higher Education, dated not more than three (03) months and gave the right to the competition.